Made using only natural ingredients and pure extra virgin olive oil, our focaccias are ready to be eaten! They can be heated in the oven, under the grill or in a pan in just a few minutes. You will be able to choose from a wide range of pre-cooked and ready-to-use products. At last, you will have the distinctive smell of focaccias that have just come out of the oven at home! All our focaccias are also suitable for vegan diets. Our "Pizze" range is the epitome of variety, speed and love for nature, which are all characteristic values belonging to our era. Once cooked, our pre-cooked pizzas topped with raw ingredients have the perfect smell of a pizza that has just come out of the oven. You can only find them in the best supermarkets around the world. Tip: For a crispy final product, cook the pizza under the grill. If you prefer a soft consistency, it is better to use a baking tray to cook it in the oven. The quality of our raw ingredients is our number one priority in order to create our tasty and aromatic treats. Its organic certification is the perfect answer to the increasing focus on sustainable growth. The “BIO” logo means that our products are made with raw materials that only come from organic crops and farms. Our pizza bases are ideal for those who want to set their culinary creativity free. A perfect white base on which a magnificent story of taste can be created. They are available in two variations, both of which are worth trying: plain white and red tomato. Our bases are suitable both for professional use and for a pleasant evening spent with friends. A high-quality product created for professionals that will be able to give your end product an edge. "Pizza Time" is the range of products designed for microwave cooking. The result is guaranteed: pizzas and focaccias are crispy, just as they are in a conventional oven. During heating in the microwave, the packet opens on its own (patent pending). Light and incredibly tasty with a unique flavour, these products are ideal for a quick, high-quality meal. The appetising “I Friabilissimi” range is ideal to accompany rich aperitifs that are full of flavour. Toasted in the oven, these tasty, crispy and fresh focaccia bites are available in two mouth-watering variations: classic or rosemary flavoured. A real treat that will give your parties a spark and offer you a pure and simple moment of pleasure. All our focaccia croutons are also suitable for vegan diets. The "Tostami" (Toast Me) range is the ideal solution for those who want a quick, delicious and tasty snack. Thanks to the convenient and practical transparent trays, the "Tostami" pizzas and focaccias are ready to be toasted, grilled, or cooked in the oven or in a pan. They are already cut into slices and packaged in practical transparent trays. Tasty and natural, they are ideal for a quick but incredibly delicious snack. Tip: To best cook your pizzas and focaccias, we would recommend using greaseproof paper so that you don’t get your toaster dirty! This is the ideal dough for pizzas, focaccias, thin piadina flatbreads, fried gnocco dough puffs and calzones. 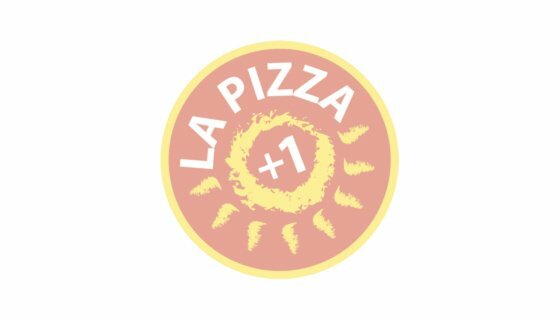 Made exclusively with extra virgin olive oil, the "Pasta per Pizza" range contains the exclusive La Pizza +1 yeast, which we have studied and patented internally. Our pizza dough will make your creations tasty and perfectly digestible.